Projects are abilities everyone can have. They go in your randomizer deck or special sideways deck, like Events and Landmarks. You only play with 2 max between these and Events and Landmarks, unless you prefer to have more, I can't stop you. Each player gets two wooden cubes, that's right we've at last moved into wood, and if you buy a Project - using a buy in your Buy phase - you put one of your unused cubes on it and then have that ability for the rest of the game. You only get two cubes, even if you preferred having more than two Projects out at once. Everyone can put a cube on the same Project, there's room for all. There are twenty Projects. Here are six of them. Silos lets you Cellar away Coppers at the start of your turn, could be a pip. Citadel repeats your first Action each turn. You are going places once you have one of these. Star Chart lets you pick your top card every time you shuffle. It seems like that could come in handy. Yes you get to look at the cards, you don't have to pick from the backs. Sewers means every trasher you have can trash an extra card. It also works when you play a one-shot like Acting Troupe, or lose a card to Swindler or something. It can be sneaky. And finally Innovation makes your first bought/gained Action each turn leap into play and immediately do something. Not all things are useful to play in your Buy phase (and there isn't always a Workshop available), but it turns out a lot of things are (and sometimes, there's a Workshop). That's it for previews! You'll be able to play with the previewed cards online all through the weekend; then they'll vanish until the street date for the physical set. Which is when you'll also get to see the rest of the cards. And when is that? Well the current guess is... late October. Very late October. So late in October that it's almost not October. Man. A month away. But at least RGG has a lot of confidence in that estimate. The rulebook will show up online around then as usual, and once people have the cards I'll post a Secret History. Are the cubes in different colors? These look like an awesome twist on Events. Thanks for the previews Donald! The cubes match the player colors from the mats and Adventures mats/chits, and you're welcome, I'm there for you. First obvious observation: Sewers go well with Rats! Nice flavor choice there. Finally, Citadel will help me counter those pesky Enchantresses. So, although Inheritance is an Event, Projects work basically the same way as it does, right? Buy it once, and you have a special ability for the rest of the game? Star Chart looks really useful for all kinds of decks. Often it will be a real counter, especially for idempotent actions like draw-to-x. But in most cases Enchantress would still affect you negatively. And a follow up question - on top of what? On top of your deck or on top of the cards you've just shuffled? So the way Sewers works would be like this? I play Forge, I trash two cards; Sewers allows me to trash up to two more cards; then I gain something costing the sum of the first two cards? No. You can fullfill the +3 Cards ability without any problem. Once you drew 3 cards, you have not enough cards left to fulfill the "reveal 4 cards from your deck", so you select one card from your discard, shuffle the remaining ones, put your seletcted card on top of the shuffled ones and put all of them under the 3 remaining cards in your deck. Then you reveal the top 4 cards, the 4th of which would be the one you selected with Star Chart. Citadel + King's Court is just crazy. Also I just noticed that Citadel doesn't have a Duration clause even though the set will have Duration cards. No worries about tracking issues this time around? You can't buy the same project twice, right? So Citadel is almost the same as a Princed Throne Room. But not quite, I think. With a Princed Throne Room you have some flexibility over when you play the Throne Room relative to other start-of-turn abilities. Citadel is like a Princed Throne Room that has to go first always. EDIT: Actually, I got that quite wrong! Princed Throne Room lets you play an action card twice without using an action each turn, whereas with Citadel you still have to use an action each turn. And a further difference is that Citadel works fine with durations. I like these. Star Chart looks especially fun. Is there a mistake in the Silos wording shown? It doesn't make sense. The wording for Citadel is also a little weird. Why does it have the word "afterwards"? If it's just after you play it the first time, why not just say "Play it again"? These projects look really impactful! Now I'm wondering what's the most abusive card to play during your buy phase. I guess it only works once, so you can't do something like, buy a bunch of Death Carts to pile out ruins. By default when you discard a bunch of cards together, you don't have to reveal them. So for accountability reasons, Silo tells you to reveal the copper. No? You discard a bunch of Coppers, reveal them, and draw that many cards. Because it wouldn't happen afterwards unless it said so. Does sewers not give a +2 after playing priest? You can't play Actions or Treasures after you've bought a card. Innovation makes the Protoplasm copypasta a lot more trivial because any card is ALSO PROMPT (as long as you have Innovation). The extra trashing from Sewers is triggered before you get to the part of Priest which says "for the rest of your turn when you trash a card..."
I get that's what it's supposed to be, but the wording doesn't make sense. You can gain cards during your Action phase. So with gainers or Remodelers Innovation is quite good. Play a Workshop, gain a lousy Pearl Diver and retroactively cantrip-ify that Workshop. I think Projects could have been more complicated, like having to build them over several turns or whatever. I get that's what it's supposed to be, but wording doesn't make sense. How does it not make sense? You discard the Coppers, revealed. And then you draw that many cards. Shepherd's wording with a verb might be clearer as it tells you what to do but it is not as if Silos is worded wrongly or imprecisely. You discard the coppers, revealed? But no coppers were revealed. There's nothing that says to reveal your hand. It doesn't say to reveal the coppers like it's supposed to. The syntax is messed up. How does that make sense? You buy it once and then have a special ability for the rest of the game. You discard the coppers, revealed? But no coppers were revealed. There's nothing that says to reveal your hand. The syntax is messed up. How does that make sense? "Revealed" means "also, reveal those coppers, so that we know they are coppers. By the way sorry for saying this so tersely but there's only so much room on the cards and if it had ever confused anyone in playtesting man I would have changed it." Citadel / Hireling is kind of crazy and probably has tracking issues. They were more complicated, as will be explained in the Secret History. And I thought, these could be simpler. As usual I named the mechanic I had, I didn't make a mechanic for the name. We didn't have trouble there. "Non-duration" was considered. So with Star Chart you don't get to look at your deck after shuffling, right? You set aside the card you want first, then shuffle the rest? You take just the cards being shuffled, look through them, pick one, shuffle the rest, put the one you picked on top... then put the pile under the left-to-draw cards if any and then do your drawing or whatever you were doing. My final previews video is up! Featuring three games with markus (we got lucky to see all six). After thinking about it for a bit, I'm wondering about the decision-making process regarding these. Since you can only buy these once, it seems like it will be a no-brainer to get them every game. The effects are either never harmful or optional, and you don't have to pick a good "target" like inheritance. I suppose there's decisions in when to get them, but I think even there the answer is usually "as soon as possible." I guess the main exception would be Fair, which you should probably wait on. And you don't need Silos if there's premium trashing, or Sewers if there's no trashing. But what about the others? In the end, are projects a little too simple? After thinking about it for a bit, I'm wondering about the decision-making process regarding these. Since you can only buy these once, it seems like it will be a no-brainer to get them every game (Except Sewer with no trashing and other obvious exceptions). The effects are either never harmful or optional, and you don't have to pick a good "target" like inheritance. I suppose there's decisions in when to get them, but I think even there the answer is usually "as soon as possible." In the end, are they a little too simple? I don't think so. Of course something like Silos is a no-brainer in a game without Copper trashing but what if there is moderate trashing or sifting? Then it is not that simple. I agree that the Projects are simple, too simple for my irrelevant preferences, but this doesn't imply that they don't lead to tricky decisions. Citadel seems, so far, too powerful of a card. I've only played a small handful of game with it so far, but getting it (against Lord Rat) has led to a decisive win each time. And that's without Kings Court in the kingdom...it would be an almost sure resignation if you got that combo going in a game, other than at the very end. In my first game with Citadel, travelers were there, and Cit + Disciple was crazy-powerful, of course. It doesn't say "discard the revealed coppers", it says "discard the coppers, [in such a way that they become] revealed". Logical next step. Guess you could have done this with Events and one unique token per Event, but man, who needs all the tokens. Similar to how the Artifacts re-implement Fool's "Lost in the Woods" but make it feel cleaner. Citadel seems, so far, too powerful of a card. Aren't you glad it isn't a card? I'm guessing you can't buy a Project while in Debt? If I have Innovation, and I buy the last copy of Outpost which is the third pile to be emptied (endgame trigger), then can I play Outpost, and then take an additional turn after the game is technically over? The game end conditions are checked once a turn is over, not any other time. Playing Outpost the way you described is in no significant way different from playing Outpost 'normally' and then emptying a 3rd pile (Outpost or otherwise). If it worked the way you described it, using mid-turn gainers to empty 3 piles and playing Outpost afterwards would have worked a long time already. I'm still confused by Citadel + duration. Help? So Citadel + duration means the duration triggers twice both turns? Only if it was the first Action played on the previous turn and the first Action selected to be played on the current turn. No. You only play the duration card on the previous turn. You do not play it on the current turn. So, with Citadel, if the duration card was the first action card played on the previous turn then the 'next turn' effect happens twice on the current turn. And in addition you can still play another action card twice on your current turn. If the first thing you play on a turn when you have Citadel is a Duration, it is played twice. Just as with a Throne Room. If it is a Fishing Village, you get +$1, +2 Actions twice now. Next turn, you get +$1,+1 Action twice (just as with Throne Room). Getting those bonuses next turn is not 'playing a card', so Citadel doesn't affect them. When you actually play the first Action card next turn, it is doubled by Citadel. My mistake. I got confused by a Prince-Citadel game but cards set aside by Prince are of course played whereas Durations aren't after the first turn. Durations interact quite well with Innovation. Especially "nothing this turn" stuff like Haunted Woods or Swamp Hag. the street date for the physical set. Which is when you'll also get to see the rest of the cards. And when is that? Well the current guess is... late October. Very late October. So late in October that it's almost not October. Man. A month away. But at least RGG has a lot of confidence in that estimate. No, end of turn conditions are evaluated before you take additional turns. Using Innovation on the last Outpost isn't any different than playing an Outpost from your deck the same turn you pile out. Thanks, Donald. You just gave me another great week of waking up excited to see what’s new. I know there are limits to how far you will go with this game, but you could keep having a preview week every year, and you certainly wouldn’t get a complaint from me. My wife and I wish to thank you for creating and expanding this wonderful game. I have many games in my collection, but none of them puts a smile on my wife’s face like Dominion does when I ask her if she wants to play a certain game. Since we discovered Dominion 9 years ago, for us there has been Dominion and then a bunch of other games that we play for a change of pace or different kind of challenge. I had been afraid Nocturne was the end; Night had fallen on Dominion. Thanks for conquering the Dark Ages and bringing a Renaissance to Dominion. Will there be interactive Projects? We had interactive Events (Tax/Raid) and Landmarks (every Landmark that says 'put X VP here per player', for example). I can think of some but won't name any because this isn't 'variants and fan cards'. How many projects will be in the set? I just played a game with Sewers. Mine... is now a good card. 20. It’s right in the preview. Sewers gets weird when the only trashing is Ducat. Citadel is a lot of fun. In short, I think these projects are awesome. They basically work like Events, so it's nothing we haven't seen before as a whole. I always found Events and Landmarks to be a very card efficient source of variety in the game. The throne effect for the first action you play in a turn, that's been a thing since the Goko/MF campaign where one of the levels had it, I think at DXVs request. The question is usually not whether to buy a project because in a lot of instances they will be must buys. And sometimes it might not even be when to buy the project. The more important question will usually be how do you build your startegy around the project. I think projects are somewhat of an inevitable addition to the game and am really glad they stayed simplistic. To me, they are kind of like Asper's Edicts. Basically, they are are just rule changes, but with some level of decision making about whether to buy and when to buy. Why not just "At the start of your turn, reveal and discard any number of coppers and draw that many cards."? My guess was just gonna be, there's a Project whose effect is "Take an extra turn at the end of the game." Then I ask: Why add another word? The text on the card-shaped thing is correct English and more efficient than your suggestion. I agree; I think only Star Chart and Fair are likely to be must-buy. Citadel could easily be skippable in a Province game, considering the cost. Sewers and Silos are skippable with good trashing cards. Innovation seems tricky to make use of if the only way to gain actions in a game is by buying them. Actions that give money or buys could work, but that would only apply on the turn you buy them, so paying 6 for that effect isn't necessarily a must-buy. Overall, I suspect these add good variety, without making every game with Projects necessarily focus on the Projects. His suggestion is actually the same number of characters. I also had momentary confusion over the wording. Regardless of its correctness in English, the current wording is non-standard in the Dominion language, which is more relevant here. That said, "momentary confusion" passes quickly, so it doesn't seem like a big deal. I had personally wondered why it wasn't "At the start of your turn, reveal any number of Coppers, discard them, and draw that many cards. ", which seems to fit the Dominion standard, but that does add 3 characters. Silos looks the most mistranslation-prone of all Renaissance previews so far. Discarding is from your hand by default, but revealing is not. So it would have had to be, "Reveal any number of Coppers from your hand, discard them, then draw that many cards." number of Coppers and draw that many cards. Coppers, revealed, and draw that many cards. Space is really tight here, and if the limit is filled on the card-shaped thing as it is, the alternative presented here actually gets to three lines. I don't know how to add a picture of it, but with the correct font, Excel shows that this is enough of a problem to warrant three lines, if the width is really filled out. Not that I believe this was what made them do it like this. Just look up DXV's explanation above. He tried it that way, and no playtesters had a problem with it, so it stayed. I don't understand why it should be changed if it works, and my mention of number of words was just because I saw that the frame was pretty much filled to it's limit. I don't think they want the text to almost touch the frames, because that doesn't look good, and with all the thought going into expanding the text size in 2nd edition/revised edition, I don't see why they should try to fill the boxes so that they potentially need to make the text smaller. Besides, what he just said! Fair is important in some games, but sometimes there are better ways to get all the buys you need. Yes, both are very good points that I hadn't considered. Now I'm wondering what's the most abusive card to play during your buy phase. Leprechaun, Poor House, Tactician, and kinda Horse Traders. Get the final card on Turn 6. It made sense to me, but a better wording might be "At the beginning of your turn, you may reveal and discard any number of coppers. Draw as many cards as coppers you revealed and discarded." Did I miss the discussion about why Innovation makes you set aside the card before playing it? I was thinking that that keeps you from gaining something to the top of your deck, which some cards say, and then playing it from there. I'm fuzzy on those types of rules, though. My first idea was, that projects were something upgradable with multiple levels. But this is also fine, because it is kept simple, but still innovative. I think it's to prevent tracking issues. For example, if I gain Death Cart, I can choose whether to gain ruins first, or activate Innovation first. If I gain ruins first, then the death cart is covered, which means it's lost track of. But losing track of death cart doesn't prevent you from playing it, it just prevents you from moving it from one spot to another. So Innovation needs that clause to prevent a lot of issues where you play a card without moving it into the play area. Summon has a similar clause. Regarding Possession: Which projects are available for the possessed player? What happens if a possessed player buys a project. Does Sewer also apply to the “pseudo-trashed” cards of the possessed player? It is very clear that you can't discard Copper from Miser, Island and Native Village, isn't it? It’s not only about the buy phase. When gaining an Imp, you can play any action during the night. The only action you can gain during the cleanup phase is Madman, but the effect is lame, probably. Any card you draw, you should discard anyway. I’m not entirely sure about that interpretation. There’s a possibility that in the cleanup you discard the hand and the play “at once”. If that’s true, then you might end up with a non-empty hand before drawing your next hand. If I have Innovation and I buy/play an Action card with +Buy, can I use that +Buy during the current Buy Phase? Not abusive per se, but with Innovation you can have perfect timing playing Island and having a good card to send away with it. Another not-particularly-abusive thought: When gaining an action card from the Black Market, which you might otherwise not see for awhile, you can immediately play it. Villa: Yes, if you choose Innovation to go first. Which means that you still return to your Action phase and get +1 Action, the Villa will however not be in your hand but already played by Innovation (for additional +2 Actions, +1 Buy, +$1). Regarding Possession: Which projects are available for the possessed player? What happens if a possessed player buys a project. Nothing special about this here. It is the Possessee's turn, so their already bought projects work (like Silos) and any projects they can afford and have't bought yet the Possessor can make them buy. Since they are not cards, nothing out of the ordinary happens, the bought projects belong to the Possessee and can be used by them on later turns. Does Sewer also apply to the “pseudo-trashed” cards of the possessed player? Yes, the cards are trashed, so Sewer (if bought by the Possessee) is applicable. Do you have to use an unused cube or can you move a cube from one project to another? There may be some project you no longer want? or in the case where you decide to use 3 projects. You could also buy and play a Treasure Map, if you have another one your hand. Boom, what a nice deal! And, yes, I want to talk about Bag of Gold. Normally the most useless Prize becomes amazing as hell. Last, but not least, University turns into the best gainer in the game. Clearly not, but it's too bad that this card breaks the "when means after" convention. I think "before you shuffle" would be both more correct and clearer. Innovation, when your first gain is in your buy phase can you use the coin supplied by the purchased and played card? What about coffers? I'm pretty sure it's a no for coffers. If you buy a crown and innovation plays it does it have to be played as an action? Innovation + Distant Lands sounds good. If you use Rats to trash with Sewers, you will be left with two Rats in your deck, at best. Unless you finish the Rats pile. On the other hand, any card that trashes two cards from your hand is promoted to Chapel with Sewers. Silos combos with Counting House and Settlers. It’s good to see those two get some love. Citadel is going to be crazy with cards that play other cards, or with ways to start your turn with extra actions. If you use it to double a village, it isn’t that hot. And I have a feeling Star Chart could cost 5$ and it would still be bought in most games. Crown is not "played as an Action". It is both an Action and a Treasure. If gained during your Buy phase, Innovation can play it, and since it is your Buy phase, you will be able to play a Treasure twice. I've just had a randomly selected game with Innovation and Pillage. Seemed very effective! Wow! This is definitely saving the best until last. Simple but game-warping stuff! It wouldn't necessarily be winning play, but it would be deeply amusing to gain an action and immediately play it twice via combining Citadel and Innovation. I'm wondering how often it's right to open with Star Chart to guarantee you get your other purchase into play on T3. Via Cobbler you can make this happen. Question: can Sewers extra trashing trigger Priest bonus money? Are all games this weekend going to have two Projects? Meaning no Events or Landmarks? My suggestion was 1-2, so that events and landmarks could show up. Yes, but if you more precisely asked what you meant to, no. You play Priest. You get +$2. You trash a card. Sewers triggers and you trash a second card. Now Priest's "this turn when you trash +$2" becomes active. It wasn't active during either card trash. I played a game with Crown, Innovation, and Bank today. It was crazy. The last turn featured me getting 9 buys and $67. I bought a Province and three Estates. I lost. EDIT: Wait, I'm a Scout. Hmm.. If you play a Crown in your Night phase, I suppose it does nothing? Innovation is great for nearly every Tavern Mat card, Hireling, and as previously mentioned, makes Treasure Map much easier to use. Between the mechanics of Star Chart and Secret Passage, it seems like Stash should be implemented now online. It certainly doesn't need to have a different back in the online version since it will automatically be pulled out of the deck instead of having to track it down IRL. I said 'nearly' on the Tavern Mat card because I didn't want to have to grind through all the cards in my mind and see if they were all good. So I hadn't played online for awhile, but I had to try these out, and I have to say, all of these cards are amazingly fun. Silos is so great, somehow despite feeling like a borderline-must-buy? Like, even if you are going to trash your coppers away, it really feels like Silos gets your trashing moving way faster (and without the collision danger of just opening with two trashers). I was a bit surprised by just how great Innovation is too, even if you can only get it working in the Buy phase (Minion was fun here). Sewers, hm, yes please. Actually, they're just all great. I'm very excited about this new set! You can also just not play any Actions in your Action phase, then buy a card. Ok I think I understand but then it seems I may have found a bug in Dominion Online. I bought Sewers, then played Priest, trashed a card, then Sewers activated and I trashed another card, but I didn't get any extra money. Only the initial $2 from Priest. So either it is a bug, or I'm not understanding the rules correctly. Well this appears to be the number one rules question of the previewed cards. Let's say you trash a Copper with Priest. You don't get the bonus +$2 for that - you haven't gotten to that part of the card yet. You get +$2, you trash Copper, and then "this turn, when you trash a card, +$2" turns on. Let's say you also have Sewers. You trash a Copper with Priest. You get +$2, you trash Copper, Sewers lets you trash another card, and then "this turn, when you trash a card, +$2" turns on. You don't get the extra +$2 for Sewers, just like you didn't get it for the card that Priest itself trashed. Sewers happens in the middle. Ok I get it now. Thanks! Innovation-Artisan gives you a lot of possibilities. Don't want that Seer to Innovate during your Buy phase? Throw in a Coffer, and you can topdeck him instead. And hey, now you have an Artisan too! Next time you can gain another Seer during you Action phase, and he can Innovate if he wants to! Stuck buying a Duchy? $6, buy Artisan, gain a Duchy, topdeck a dead terminal or whatever. Swashbuckler likes Silo pretty well. Just make sure you leave three cards on your deck if you still can. Mountain Village sometimes has trouble with Silo. If your shuffle starts with MV and at least one Copper, MV becomes "+2 Actions, +$1". Alternatively, you can think of it as: if you only Silo a single Copper, it's as if you hadn't used Silo at all. More generally, having X MV in your starting hand negates using Silo on X Coppers. Either Silo cripples MV, or MV negates Silo. Is using more than 2 sideways cards considered a variant; or simply outside a recommendation? Was “reveal and discard” considered? It should be basically the same character count. But where are they revealed from? Often things are revealed from the top of your deck, or somewhere else. Shepherd says "revealing them" instead of "revealed". A few more characters, but it's not like text size hasn't been slightly reduced on cards before. Speaking of Artisan, I just won a game where I was planning to use Innovation with Workshop to do a Gardens rush. I said "planning" because my opponent resigned when I bought Innovation. But I think it would have been really powerful. The different back does still need implementing: it gives information to your opponents. I checked the Empires rulebook for you; it says "for normal play we recommend..." Feel free to interpret those words as you wish. This isn't the kind of thing my brain felt I would need to know later. There are threads I could look through for discussion about this particular wording. It's work to do that and sure seems moot. Again we weren't confused. I am looking at the image. Possibly "revealing them" would fit if I changed "that many" to "as many." That sounds plausible and, given people's comments, probably better. Another classic trick is to change "any number" to e.g. "up to 5"; I'm not sure that does it. When it came time to do the layout, the expansion symbol got in the way on Innovation and it ended up three lines, so you could argue, just give up on sticking to two lines, how is that worth more than clarity. And if I spoke up with a rant about complexity and how man this one set was sticking to two lines on these cards, well there's always not doing Silos. I guess my question was actually if Renaissance rules were a change to the Empire rules here; and I’m taking your reference to Empires as a “no”. The rulebook for Renaissance hasn't been posted yet, so I looked in the Empires rulebook. I've said a bunch of stuff about Renaissance, so I can understand thinking, who knows, maybe he'll answer this; what does it matter if people know this anyway? OTOH at the point at which this information will be useful, you will be able to find out the answer without me. So the question doesn't leave me feeling particularly generous. I wouldn't call any of them minor. Fair, in particular, is game-changing on a board without other good +Buy. Star Chart can be irrelevant on sufficiently thin decks, but it can also make a big increase in the odds of an engine firing. You know that old wisdom: "if you can't say anything nice don't say anything at all"? Although the question was not particularly consequential, you didn't have to answer it. Instead, you answered a question about Renaissance by saying "I checked the Empires rulebook for you", which doesn't even make sense, and the "for you" just makes it slightly rude. Recently on the forums I saw some posts back and forth where you kept using "your mom" insults. Being the creator of the game we all love gives you status. We're the customers. You should use your status to take the higher ground and set an example for everyone else. My mother always told me, "If you can't say anything nice, say this little speech." It turns out that ignoring someone's question is also rude. The question didn't say "hey Donald X." but was implicitly directed at me. Hey, I'm here, I don't need to act like, why are you bothering the game designer. I have long established that when people say "hey tell me this about the new set" I will say something like "the blurb doesn't seem to answer that." Those questions get answered when the rulebook is posted, and it hasn't been. This question had an answer separate from Renaissance, so I gave that answer. He could have dug up that answer himself, so yes, "for you." I did in fact go look in the rulebook to see what it said; I wouldn't have otherwise, and he could have done that himself. If I am saying a "your mom" joke, it's to be hilarious, not to actually insult anybody. I do not see how you can actually insult someone with a "your mom" joke in 2018. I am always going to be that rude guy. I have no ability to put on some fake persona for you. If it ever seems like a real problem I can just not post in the forums. Part of this was just me not being clear in my question... I knew quite well what the Empires rulebook had to say about this, and my intent was specifically to ask for clarification about this line from the blurb: "You only play with 2 max between these and Events and Landmarks, unless you prefer to have more, I can't stop you." Was trying to ask if that line was intended as a rules change to Empires, where it says it's a recommendation and not a rule. This line makes it sound more like a rule, but with the clarification that house-rules are always allowed if you feel like it. But I failed to clarify that I knew the Empires rule already, probably I even should have quoted it in my question along with the quote from the blurb. Silos seems the most niche to me so far. Star Chart is really good. Oh I see. That line was just echoing the previous rulebooks. Star Chart seems really good, especially given how affordable it is in the early game. All right, I'm impressed with the politeness of your response. I may have misjudged the tone of your comments. Thank you for frequenting the forums and answering people's questions. Is this what civility looks like? I can't define civility, but I know it when there's a decline of it on Isotropic. Thanks, excellent, the system works. When I read GendoIkari's post, I was just thinking "why do I have to answer this" and didn't realize he was seeing if something I'd said in the preview represented a change of policy or just the conversational tone of the preview. Then when he clarified, I forgot we were talking about something mentioned in the preview and thus already public knowledge. Eh, I sort of got where you were coming from. I think if there were three layers of PR between DXV and his responses, they may have taken a different form. But it strikes me as casual and glib, and he doesn't really expect anyone to give a damn I guess? The comment that got you concerned did sort of look like a "lmgtfy.com" sort of thing. But basically, he replies when he feels like it, and it's hard to forecast, and in the 98% of cases where he doesn't reply, there's a pretty good chance someone else will have good info or relevant speculations based on some other precedent. It's sort of like he doesn't really have to reply unless it's to give a ruling on a rules interpretation that is truly, unresolvably ambiguous. I like how Sewer amplifies weak trashing, I mean really weak trashing as in Acting Troupe and Embargo. With Sewer, Embargo is the Bomb! So now with Innovation there is a part of Dominion that you still can play on Isotropic! It depends on the kingdom. It's sweet to get the gold gainer with gold, but you could have gotten the gold with the $6 in the first place, so one gold gainer in the kingdom might not tip the balance towards a commtment to Innovation. One more potentially useful cards might. 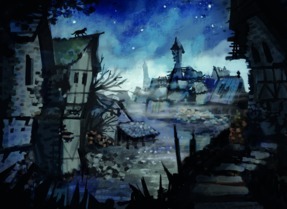 Also, consider the propensity of those situational buys, like Death Cart with Ruins in hand or Courtiers with Werewolf. Obviously, Innovation is much stronger with Action gaining in the Action phase. Workshop is an instant Cobbler. Do you know what Nocturne and Renaissance have in common? a) They both came out after Feast has been cut. b) They both feature a card that synergizes with Feast. Is Donald going to continue this trend?